Made in Montana Pasta Fest! 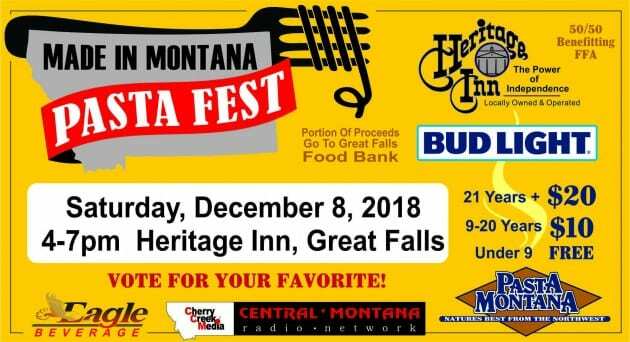 Saturday, December 8, 2018 from 4-7pm at Heritage Inn, Great Falls. 21+ $20; 9-20 $10; under 9 FREE! Portion of the Proceeds to go Great Falls Food Bank! 50/50 Benefiting FFA. Follow us on Facebook for all of our event listings.